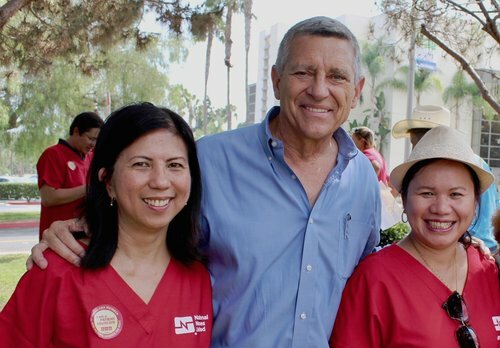 "We are proud to endorse Doug Applegate for Congress because he supports single-payer Medicare for All so that everyone gets the therapeutic health care they deserve", said Deborah Burger, RN, NNU co-president. "I could not be prouder to stand shoulder to shoulder with National Nurses United in the pursuit of Medicare for All,” said Col. Applegate. “There is no group that has been more visionary and tireless in organizing to make quality healthcare a human right for ALL Americans. I am humbled and honored by their endorsement, and look forward to achieving our common cause in Congress." The Progressive Democrats of America national organization has endorsed Doug Applegate as the one truly progressive Democratic candidate in his run for the 49th Congressional District. "Col. Applegate has not only served our country with honor, but is a stalwart champion on issues important to all of us. We enthusiastically endorse him and look forward to him being a fighter for us all as CA-49's representative in DC. Doug very nearly defeated the incumbent, Darrell Issa in 2016, and we're excited to be helping him win the seat in 2018." Donna Smith, Executive Director, Progressive Democrats of America. Founded in 2006, the mission of VoteVets.org Political Action Committee is to elect Veterans to public office, with a focus on Iraq and Afghanistan veterans, and hold public officials accountable for their words and actions that impact America's 21st century troops and veterans. Though VoteVets.org PAC is non-partisan, candidates it backs must support VoteVets.org's core mission and beliefs. Teamsters endorse Doug Applegate for Congress at a joint press conference at the Local 952 Union Hall in Orange. Local 952 is one of hundreds of Teamster locals across America. The Teamsters are one of the largest and most diverse unions in America with over 1.4 million members who work in various trades and industries. “Washington needs leaders who will represent all men and women; stand up against income disparity; and deliver affordable housing, healthcare, higher education, apprenticeships and jobs,” said Doug Applegate. Justice Democrats announced their 2017 slate of candidates, highlighting Col Doug Applegate in California’s 49th race. Cenk Uygur, CEO of The Young Turks, and founder of Justice Democrats stated on-air, "l want to tell you about Doug Applegate. He's a Marine Colonel, unabashed Bernie supporter, and progressive... and he's running against Darrell Issa. He almost beat him last time. He only lost by  votes. ...That's a REAL fighter. Issa is this close to losing. He's one of the worst Republicans in Congress. GO MAKE THAT HAPPEN.” Read the full press release here. "Doug Applegate has already proven himself to be a fierce fighter for the 49th and he'd make an excellent Member of Congress," said Assemblymember Daly. "Doug has a lifetime of leadership and service, and he's ready to apply his knowledge and experience from day one." "I'm honored by Assemblymember Daly's endorsement," said Col Applegate. "Tom is a leader in addressing homelessness, affordable housing, mass-transit infrastructure and acting on climate. I look forward to finding ways we can work together on these issues, for the betterment of Orange County and the entire 49th." “Colonel Applegate promises to effectively advocate for public policies and legislative actions that will improve employment and wages in California, improve worker safety, and ensure protection for working families and communities,” said District Council 36, Painters & Allied Trades Political Director, Robert Smith. Mr. Anthony Novello, Business Manager, representing Local 582 of the Plumbers, Steamfitters, Welders & Apprentices Union, today endorsed Colonel Doug Applegate for California’s 49th Congressional District, saying “Colonel Applegate will be taking a strong stance against the Republicans' "Right-to-Work" law which is an attack on unions all over the country. Doug will stand up for American workers and families by fighting for increased wages, fighting for better benefits, and fighting for stronger unions." “Colonel Applegate has proven himself, time and again, that he is a warrior for working families,” said United Union of Roofers Waterproofers Business Manager Brent Beasley. “I believe Col. Applegate will work hard to represent the constituents of the District." “Colonel Applegate will promote policies and legislation that encourage a fair and even playing field for our members and the community,” said Ironworkers 433 Business Agent Keith Harkey. “His support for apprenticeship programs will give opportunities to men and women to become highly trained and to excel." 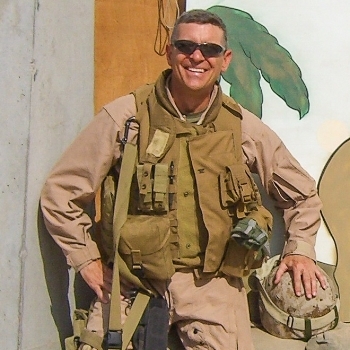 Pat Lavin representing Local 47 of the International Brotherhood of Electrical Workers, endorsed Colonel Doug Applegate for California’s 49th Congressional District, saying “USMC Marines are Brothers always and forever! Every one of our Corps, till the day we die and beyond, has a duty to all the citizens of the USA, to protect and defend the principles of democracy that our great republic is built upon! 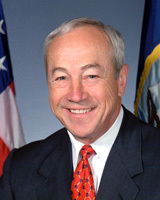 I'm confident that my friend, Col Doug Applegate will uphold that sacred obligation in the halls of Congress upon his arrival, to the very best of his considerable ability!! “Colonel Doug Applegate truly fits the needs of the 49th district. His legal and military expertise combined with his strong platform is the winning combination for CA-49. As our Congressman, Applegate will work on legislation that leaves no one behind and brings back economic growth to the constituents. That’s why it is my honor to endorse Doug Applegate for Congress,” said Supervisor Pam Slater-Price. Read the full press release here. “I am proud to endorse Colonel Doug Applegate for Congress. He is the perfect candidate to represent the needs of the Camp Pendleton community, Southern California, veterans and promotion of economic growth for the 21st century. His many years of legal and military experience combined with his ideals is what CA-49 needs.” said former Secretary of the Navy John H. Dalton. Read the press release here. Marianne Williamson is an American spiritual teacher, author and lecturer. She has published twelve books, including four New York Times number one bestsellers. “People like Doug Applegate of the Democrats are going to restore not only the soul of the Democratic Party, but the soul of our country. And we’ll reclaim our democracy. If you are in California 49, please vote for Doug. Let’s make it happen.” Marianne Williamson. "Today the Democratic Club of Vista endorsed Doug. The members of the Democratic Club of Vista voted for Doug based on relationships that he has developed with the club members. The vote for Applegate substantiated club members’ belief in him as the person who will carry the progressive message." Sue Alderson, President.